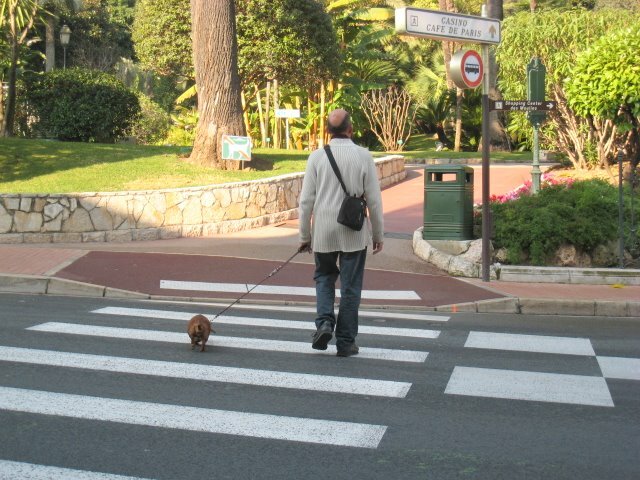 Dog and man off for a walk in the Casino gardens. You can see another photograph of the gardens themselves here. What a lovely place to walk! The guy is walking only one dog?? Lucky doggie. Well captured shot & nice title too!